When is it useful to use physical chemical process during sewage water treatment? Each system has its pros and cons. 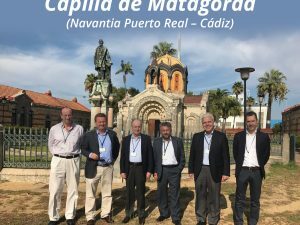 However, the aim of this post is to make the readers think over the matter that they can be complimentary instead of rivals. 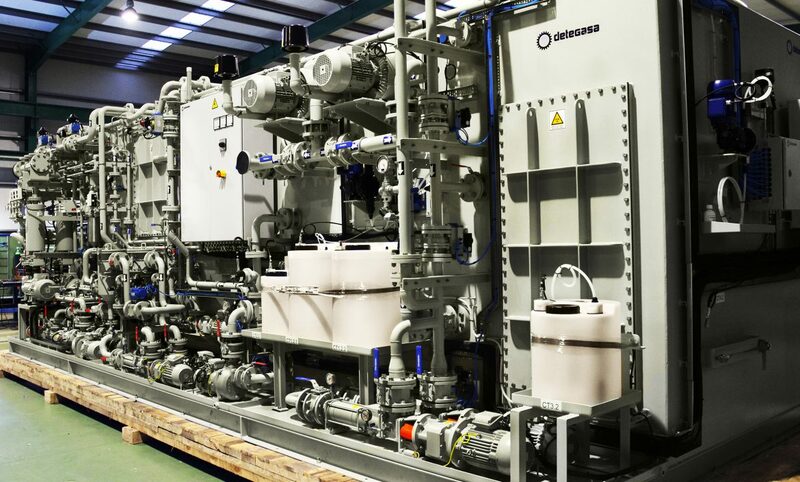 For one of its navy customers Detegasa is delivering two sewage treatment plants based on a combined physical chemical and membrane bio reactor processes. The maximum population of the aircraft carrier will be 1400 people on board. However, the load has been divided into two sewage treatment plants, each one of them is meant to treat the sewage from up to 700 people. The plants incorporate an aerated collecting tank. Thereafter, we have installed a physical chemical stage, in order to remove suspended solids and reduce the organic load contained in the sewage. Sewage is then transferred into a biological reactor for further treatment. 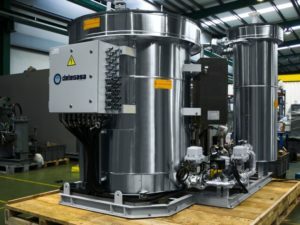 Moreover, the submerged membranes are also located within this tank and will act as physical barrier to retain “mix liquor suspended solids”, thanks to the fact that the membranes have a pore size smaller than 0,4µ. The main reason to combine the physical chemical process and the membrane bio-reactor is due to the fact that these kind of navy ships operate under constant and significant variations of the population on board, consequently a more flexible system is required to perform under those circumstances. As we can see, it is feasible to design different processes in the sewage treatment in order to obtain a higher performance for each situation. In fact, the concept of having a preliminary physical chemical process prior to the biological is widely used for in-land sewage treatment plants applications. 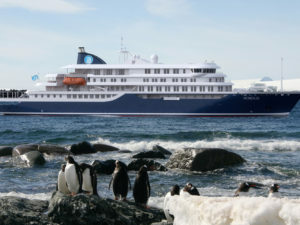 Detegasa inks contract for Polar Cruise Ship.